Princess Vivi Nefertari, crown to the Alabasta Kingdom and a great beauty to the sand nation. I’ve recently began watching One Piece and arrived at this arc where Luffy has to battle against Crocodile, similar to Vivi who also has to battle against him to save her nation. As this cosplay shows, she’s a true beauty, and there’s a reason why Sanji can’t resist her. Some fantastic looking Vivi cosplay, honestly I believe that this is probably one of the best I’ve seen of her. If you’d like to check out the cosplayer, go ahead and check out Jibril-Cosplay, she have some really fantastic looking cosplay. If you like what you see, go ahead and share this page to other One Piece fans. Agreed, she looks pretty and suits Vivi really well. No wonder by Sanji likes her. That Vivi cosplayer looks really cute and beautiful. Love Anime, Manga and Fan Art? 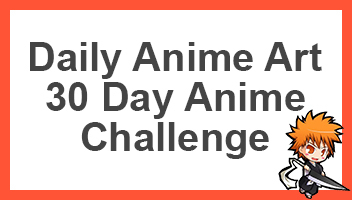 Follow Daily Anime Art to receive notifications of new posts by email. Who Got Married in Naruto? © Daily Anime Art, 2017. Unauthorized use and/or duplication of this material without express and written permission from this blog’s author and/or owner is strictly prohibited. Excerpts and links may be used, provided that full and clear credit is given to Daily Anime Art with appropriate and specific direction to the original content. All characters and series are tm and © of their respective creators. None of the art presented is the property of Daily Anime Art. All art is the creative property of their respective artists. Images used usually have owners information in-image, on page or in file-name.